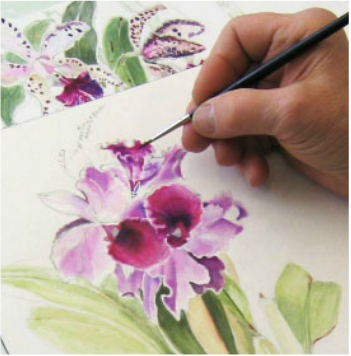 The goal of Botanical Illustration is to accurately depict the details of plant morphology, color, form and function for the purpose of scientific study. 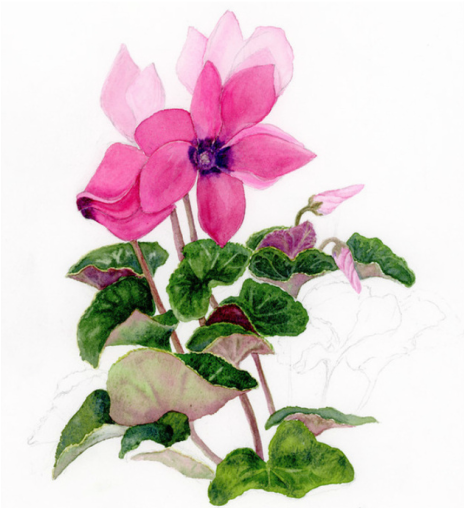 A botanical illustration can convey fine detail and provide a vision of the subject that may be lost in more general, less visually discriminating images, such as photographs. In addition, the skillful illustrator arranges the drawing or painting with an eye to creating an artistically pleasing composition and achieves artistic depth and vision. Thus, Botanical Illustration is both art and science; a thing of beauty in its own right. In addition to a requirement for scientific accuracy a significant distinction between Botanical Illustration and more general floral painting (or Botanical Art) is the absence of supports such as vases, tablecloths, other still-life objects, background images or landscapes. Frequently roots, bulbs, seeds, fruits and other distinguishing features are included, providing a more complete record of the plant in a single image. Occasionally, birds or insects are included, if they pertain in a significant way to the plant’s life-cycle. Many great artists, from the seventeenth-century Dutch masters to the French Impressionists, such as Monet and Renoir, to modernists like Georgia O'Keeffe, portrayed flowers, but since their goal was primarily aesthetic, accuracy was not always necessary or intended.